A judge had to go into the cells yesterday for the appearance of a man accused of grevious bodily harm because it was ‘too dangerous’ for prison officers to bring him into the dock in court. Derry Magistrates Court heard that 34-year-old Barry Gordon Whittle tried to attack prison officers as they attempted to bring him out of the cell. Whittle, of Clareen Drive, Strathfoyle is charged with grievous bodily harm with intent on November 27. The charge relates to an alleged incident in the Strathfoyle area. The hearing was held in the cells in the absence of the media. District Judge Barney McElholm then gave an account of the bail application for the record. 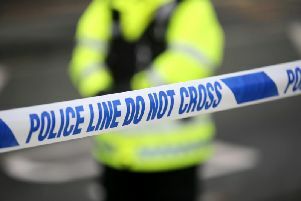 It is alleged the 34-year-old ‘glassed’ a man during an incident in the early hours of November 27. Police attended and the alleged injured party had ‘serious injuries’ to his head. Whittle had also sustained injuries and he made a counter allegation that he had been attacked with a crow bar by the complainant. The alleged injured party claimed he had been glassed before a fight broke out and he defended himself. The judge heard Whittle was already is on bail accused of two other serious assaults and had a history of breaching bail. Bail was opposed by police because the complainant and witnesses live close to Whittle. Judge McElholm said he deemed Whittle an unsuitable candidate for bail and remanded him in custody to appear via videolink on December 17.